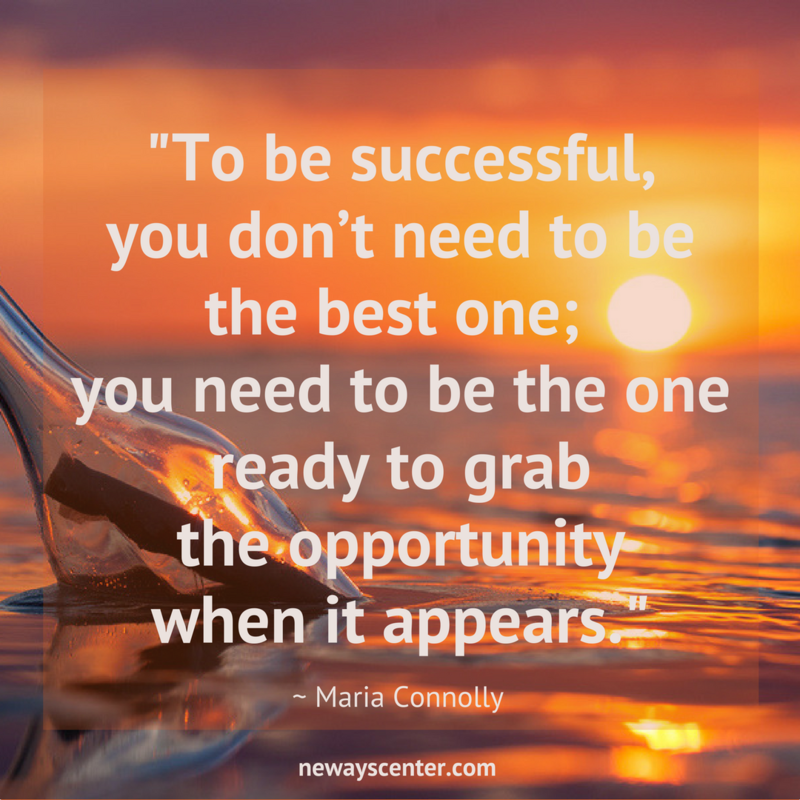 When Opportunity Knocks – Are You Ready to Step Through the Door? Are you excited about all the possibilities the New Year has to offer you? Or does the idea of new opportunities intimidate you a little bit? Maybe you’re worried that you may not be ready to open the door when opportunity knocks? How can you prepare now so you’re ready to act when a big break comes your way? I’ve been thinking about this a lot because of what happened to my client, Sandy (her name has been changed to protect her privacy). Perhaps you can relate to her story…. When I met Sandy, she was a 25-year-old writer, with dreams of being a speechwriter for a big company. She’d been writing since she learned how and loved the idea of creating content to support inspirational people. Yet in her personal life, Sandy was struggling. She had difficulties making friends and this was a source of deep grief and desolation. She wasn’t taking care of herself the way she should and this left her tired, rundown, and depressed. Her eating habits and exercise routines were less than desirable. She often felt overwhelmed and in constant catch-up-mode. When her best friend was hired by a well-known company as a junior executive assistant, she immediately put in a good word for Sandy to work in the Creatives & Communication department. Sandy’s big break was at her doorstep. Opportunity was knocking on her door! But she wasn’t ready to say yes. That once in a lifetime opportunity sailed right past her because she wasn’t ready. Can you imagine the regret and disappointment she felt? This was a wake-up call for Sandy to regroup and together we worked to set in place different daily practices. Have you experienced something similar? 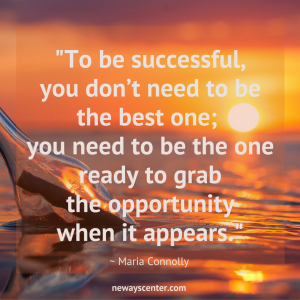 Have you lost golden opportunities because you weren’t ready for them? Too often I see really talented, brilliant people overly consumed with developing their skills, or getting bogged down emotionally with issues of anxiety, lack of confidence, and feeling “less than” about themselves. Unfortunately, these distractions can make you miss important opportunities to try something new, get your foot in the door, and say yes to something that might turn out to be your “Big Break” or “the way to success”. Do you find yourself holding back from taking opportunities because of one of the following “reasons”? You’re not in a position to take action. Maybe your life is too full of drama or clutter (physical, emotional and social). Or maybe you’re caught up in dealing with other people’s drama. All this will leave you tired, tapped out or exhausted, rather than excited to try something new. Make self-care a priority, so you have the routines needed to support your health and wellbeing. You don’t recognize the opportunity. When you’re too busy and have blind spots, you lack focus and attunement. Your head is in the sand or you’re looking in the wrong direction, when opportunity knocks. Practicing mindfulness will help you stay in the present, not lingering in the past or daydreaming about a future that will never come. You have negative self-talk. Don’t listen when you tell yourself, “I’m not up to the challenge.” “Other people could do that but not me.” “I don’t want to embarrass myself.” “I don’t want to let people down.” “I’ll fail.” If you hear these words floating in your subconscious, it’s time to challenge their validity. If some of the reasons sound familiar, the good news is that they don’t have to keep holding you back. You can do something about it! And getting ready is more important than feeling ready! Yet here’s an important caveat, being open to opportunities doesn’t mean you should necessarily act on every one of them. If deep down you know the opportunity isn’t a good fit for you, acknowledge that you’ve made a good choice and let it go. If however, there isn’t a good reason, don’t let fear get in your way. Are you ready to get 2018 off to a good start so you can step through the next door of opportunity? Please contact me and schedule an “Unlocking Your Potential” 30-minute complimentary consultation (in-person, by phone or via Skype). 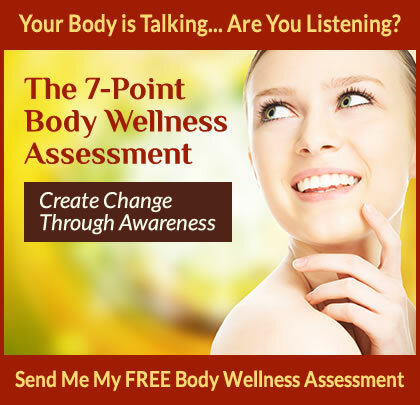 I’d love to partner with you and help you say “YES!” with confidence when opportunity knocks at your door.